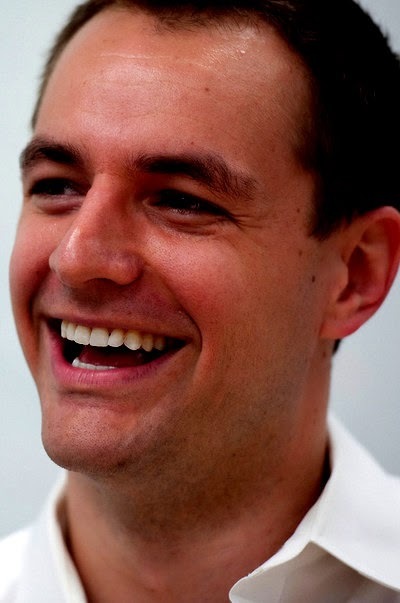 Mother Jones reports that the Hillary Clinton has selected Robby Mook, a relatively unknown and openly gay man who ran the 2013 campaign of Virginia Gov. Terry McAuliffe, to be her campaign manager. Mook is widely known as Robby, not Robert, and at 35, he's still boyish—handsome and clean-shaven with close-cropped brown hair. His usual uniform consists of chinos and bland dress shirts rolled up to the elbows. He couldn't be more different from, say, James Carville, the loudmouth Ragin' Cajun who advised Bill Clinton's first presidential bid and now makes a living as a consultant and TV commentator. Mook rarely appears in news stories or on TV. He did not respond to repeated interview requests. He has no Facebook page. He has a Twitter account but never tweets and has forgotten the password. Mook, who will be the first openly gay manager of a major presidential campaign, is largely unknown beyond the insular world of Democratic staffers but well liked within it. In addition to the email listserv, his loyal following—the Mook Mafia—plans yearly reunions, during which they return to a state where they once operated for a weekend of bar-hopping mixed with volunteering for a local campaign.